When it comes to eyeshadow – the bolder and brighter the better. Accentuate that healthy golden glow with a pop of vibrant colour. We’re talking inky metallic blues, opulent jades and emerald flicks for some statement colour. If you’re feeling daring, wash the whole lid with a sumptuous shade, for an attention-grabbing finish. Another dominating trend this season is added sparkle. Mii Cosmetics Glitter Glam liner, with a mix of iridescent green, red, blue and silver micro flecks of glitter in a clear base, is the perfect way to add shimmer this summer. As far as lips are concerned it’s time to get the gloss. Keep it cool with a perky pink high shine worn simply with defined brows, mascara and softly sculpted cheeks. Add a pop of colour with the Mii Luscious Lip Sheen, available in four hot new shades and packed with avocado oil and shea butter to leave lips smooth and glossy. Apply in a sweeping motion and press lips together, to evenly distribute, for the perfect summer pout. Instead of heavy contouring, it’s all about the base this summer to create a dewy complexion. Create soft lines not sharp definition with a classic summer blush applied to the apples of the cheek or simply add a touch of bronzer to your skin for a fresh, sun-kissed feel. Mii’s Absolute Face Base, Blossoming Cheek Colour and Bronzing Face Finish are the perfect trio for your holiday makeup essentials. 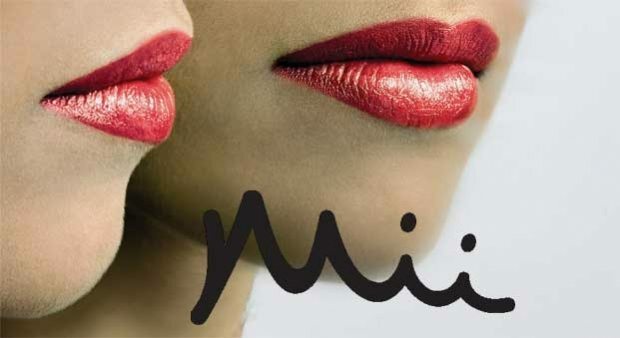 To find out more expert tips and advice, why not book yourself in for a Mii make-up lesson and skin consultation, £45.